The next installment in the spooky series. 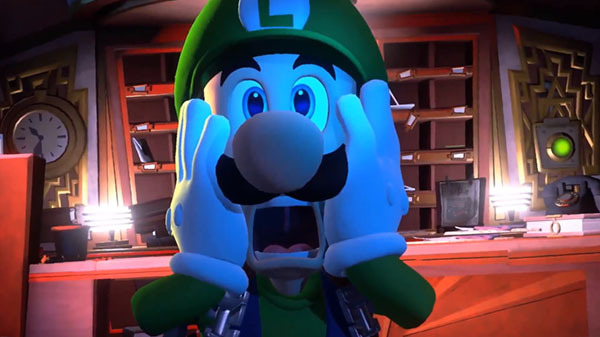 Nintendo has announced Luigi’s Mansion 3 (working title) for Switch. It will launch worldwide in 2019. I almost bought luigi's mansion 2 the other day, but i didn't. I just think... what is the point of this adventure? Why do i want to go through these mansions with Luigi and get these ghost and solve these puzzles? I know fun should be the answer, but for me... i have to have an objective. A story, a motivation... and i just can't find it. I can't bring myself to play these games cause i don't care about Luigi or Mario without some sort of story making it worthwhile. So yeah... wish i could be interested, but i don't get it. 2nd game doesn't hold up to the first one. I didn't find it as fun. Speaking of which, I find it extremely irritating that the Switch still hasn’t added some sort of trophy system. My fastest platinum trophy was Gravity Rush, did it in one day! lol... game was fun, I couldn't stop playing it. Just got Spider-man's trophies. Easy for me at least, others tho, are complaining a storm about how hard it is to get all the trophies. Honestly it's because they're way years behind when it comes to online service. I mean in less than two days their paid online service got screwed up. Still nintendo resists the idea that people rather play online and have a virtual community than play next to each other.